After a number of false-start “leaks” around the web on Monday, the official announcement of Pioneer DJ’s DDJ-800 has gone live. The DDJ-800 is the latest in a series of Rekordbox DJ controllers that all are total refreshes of the line from the DDJ-S/R families (see our reviews of the DDJ-400 and DDJ-1000). The DDJ-800 aims to be a more compact, middle-of-the-road choice for DJs looking for a controller that works in lock-step with Rekordbox DJ. For many DJs who have been waiting for a DDJ-RR update, consider this Pioneer DJ’s entrant. It’s the two channel addition to the line that incorporates many of the pro features of the DDJ-1000, but with a decent price reduction (the DDJ-1000 is ~$1,200). Compact/Lighter: The DDJ-800 is 22% smaller in volume than the DDJ-1000 and 1.3kg / 2.8lbs lighter. On-Jog Display: This controller has the really nice on-jog displays that everyone has loved on the DDJ-1000, which can show playback time, BPM, and waveforms. It gives you a good sense of distance to Hot Cue / Loop Points, and also allows you to show full artwork for the playing track. Pretty awesome! Feedback Reduction: This is a software-driven functionality that only the DDJ-800 supports so far, which is a feedback reduction function on the microphone inputs. It detects when your mics feed back and automatically cuts the volume. Jog Adjust: Control your jog wheel resistance with these knobs for each deck, just like on CDJs. Lots of additional Rekordbox DJ designed controls: there’s some really good shift layers on these controllers: Key Shift, Keyboard mode, “Super Fast Search”, Hot Cue Pages, Key Sync, Related Tracks, etc. If you’re not already a Rekordbox DJ power user, you’ll become one with one of these controllers simply by seeing the labels on this controller and discovering new functionality. Yes, the mixing section of the DDJ-800 will work perfectly as a standalone mixer. It has two line/phono inputs, and an additional AUX in as well. 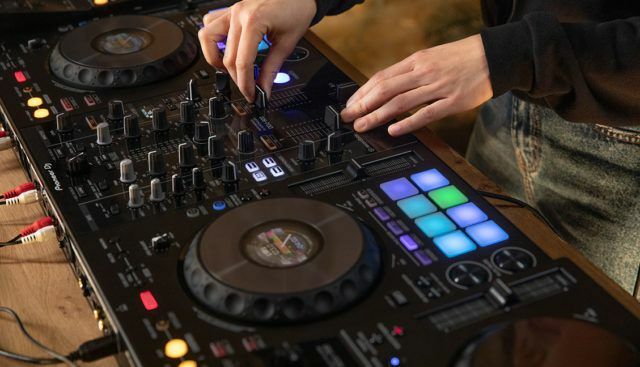 But there’s an interesting note about the mixer: the Color FX and Beat FX can only be used if you’re connected to Rekordbox DJ – so not very useful if you truly want to use it standalone without a laptop. 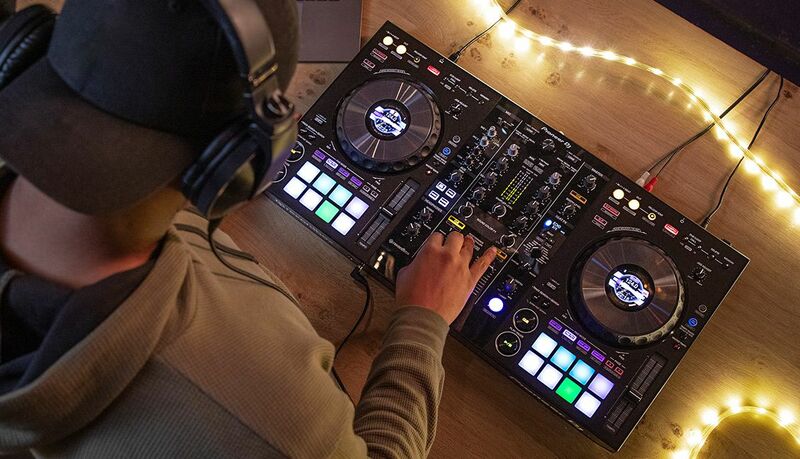 Interestingly, each channel is switchable between decks within Rekordbox DJ as well – so you can mix four decks with this controller, but you’ll have to switch the input of each channel anytime you want to use decks 3 + 4. This is almost a sub-story within the product announcement, but the DDJ-800 marks the very first controller that Pioneer DJ is offering that automatically unlocks Rekordbox DJ just by plugging it in. This could be the beginning of a complete change for the hardware line – no longer would license keys be necessary, just a piece of Rekordbox-unlocking hardware.